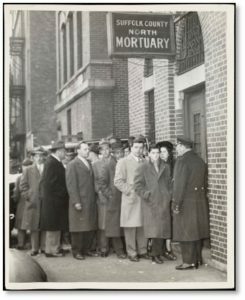 Boston once had two Suffolk County mortuaries—sometimes known as the “city morgue.” Bodies of the famous, the infamous, the unknown and those who succumbed to disaster went to one or the other. If one case of one disaster, they were taken to both. Neither building still performs its function as a temporary resting place for the dead. Both have been transformed: one demolished for a parking garage and the other changed into a clinic for the homeless. Usually when I write about a building I try to include dates of construction, building materials and architect—when I can identify him. For this search, however, I have unearthed little data, and that only for the Southern Mortuary. Architects for both buildings remain unknown. If you have any additional information, please comment. The Southern Mortuary stood on the corner of Albany Street and Massachusetts Avenue opposite Boston City Hospital. The building, still extant, changed to a clinic for the living after a $42-million-dollar renovation in 2008 thanks to a donation from the Kresge Foundation. Because of the renovation into the Boston Health Care for the Homeless, I was able to find more information. Designed in 1929 in the Egyptian Revival style, the four-story building encompassed 77,000 square feet. It has a brick façade with a limestone frame around the front door and a stone string course above the first floor. A frame connects large windows on the second and third floors, which are separated by and rectangular medallions. Carved medallions top the window frames. The Suffolk County Southern Mortuary included the Mallory Institute of Pathology as well as the morgue and was connected to Boston City Hospital by a tunnel under Albany Street. Pushing a gurney with the body of a deceased patient through that tunnel in the early hours of the morning must have been an experience to remember. Egyptian Revival was an architectural style popularized by Howard Carter’s discovery of Pharaoh Tutankhamen’s tomb in 1922. While the building’s brick exterior is relatively plain, some beautiful carving decorates the stone frame around the front door. Inside, the Egyptian theme appears in the ornate marble lobby, a Works Progress Administration project that was preserved in the renovation. 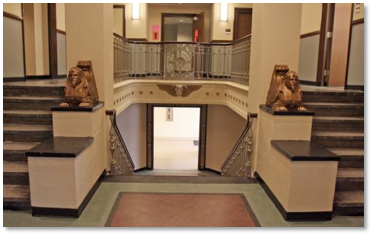 Twin male sphinxes guard the stairs leading down to the floor where refrigerated storage drawers once held the bodies of the dead. Like the American Sphinx in Mount Auburn Cemetery, they both wear the Nemes head cloth that, for ancient Egyptians, marked the end of earthly life and the beginning of the afterlife. In the 1980s, most medical examinations took place in the morgue here and the facility saw an estimated 3,500 autopsies a year. Eventually the building fell into disrepair. The Northern Mortuary was on Grove Street outside the main entrance of Massachusetts General Hospital. The building, made of brick, had a plain façade with a front door set into a Gothic-revival arched frame that was flanked by arched windows. This structure was demolished and has been replaced with a generic parking garage for Massachusetts General Hospital. Although it can be difficult to pin down which casualties were taken where after a disaster, a few newspaper articles specify which mortuary families should visit. 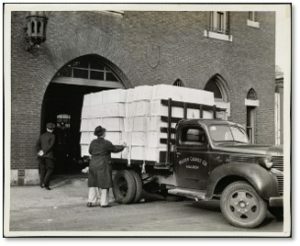 Because of its location, the Northern Mortuary took in the 21 victims of the 1919 Great Molasses Flood and the 46 fatalities from the 1916 Street Car Disaster. The bodies of and Sacco and Vanzetti were taken there after their executions. The Southern Mortuary handled the 44 victims of the Pickwick Club Collapse and, I’m sure, many others as well. 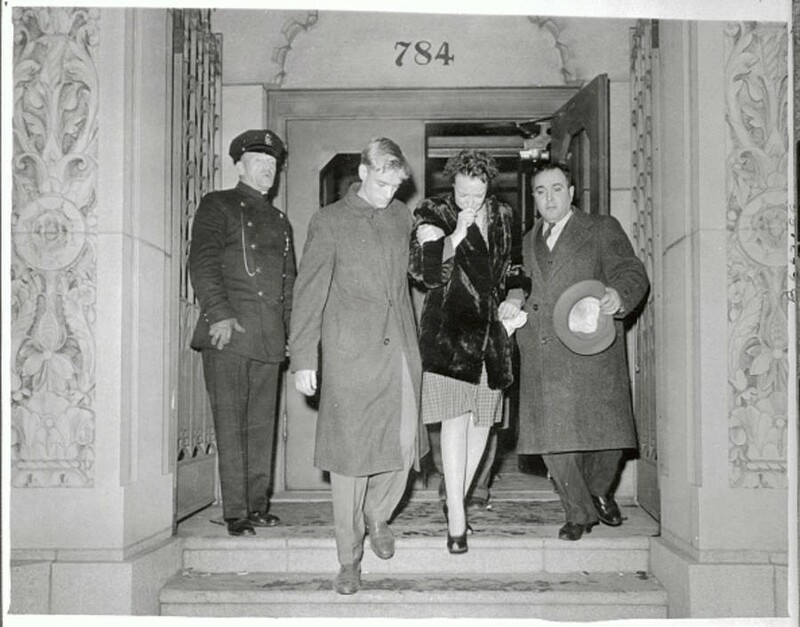 Both facilities received the deceased victims of the Cocoanut Grove Fire of November 28, 1942. Given that 492 people perished during the 30 minutes in which the fire burned, bodies went to both mortuaries. The survivors flooded into Boston hospitals and overwhelmed them as well. 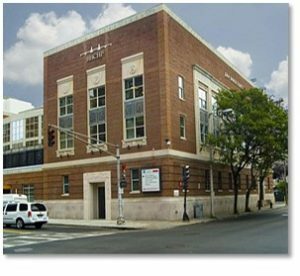 Today the office of the Chief Medical Examiner for Massachusetts is at 720 Albany Street, just down the street from the Southern Mortuary’s old address. I have been to a morgue (not this one) to identify the body of a family member so I know what it feels like. Try not to go there. This entry was posted in Boston, History and tagged American Sphynx, Boston Health Care for the Homeless, Egyptian Revival, Great Molasses Flood, Mallory Institute of Pathology, Northern Mortuary, Pickwick Club Collapse, Sacco and Vanzetti, Southern Mortuary, Stretcar Disaster, Suffolk Country Mortuary by Aline Kaplan. Bookmark the permalink.